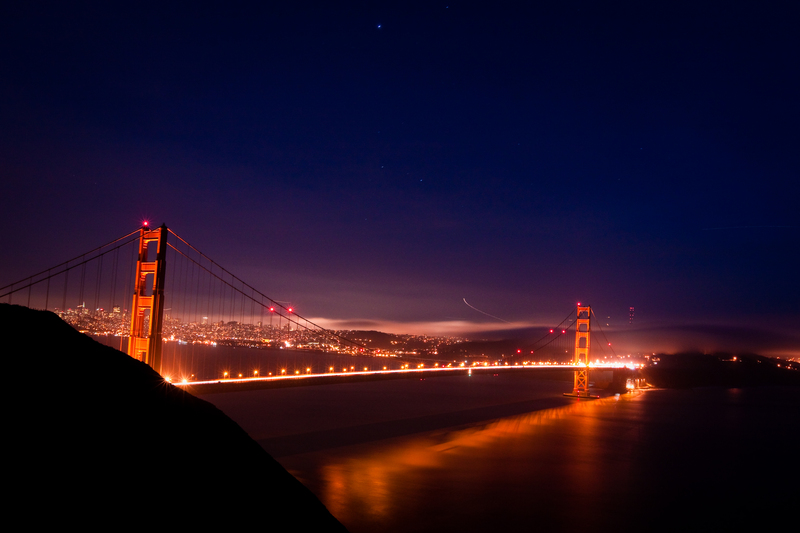 Taken from the Marin Headlands that overlooks the bay separating San Francisco from the rest of California. I used the Tobacco filter to get a more ominous feel to the picture, and the fog just adds to the mystery. 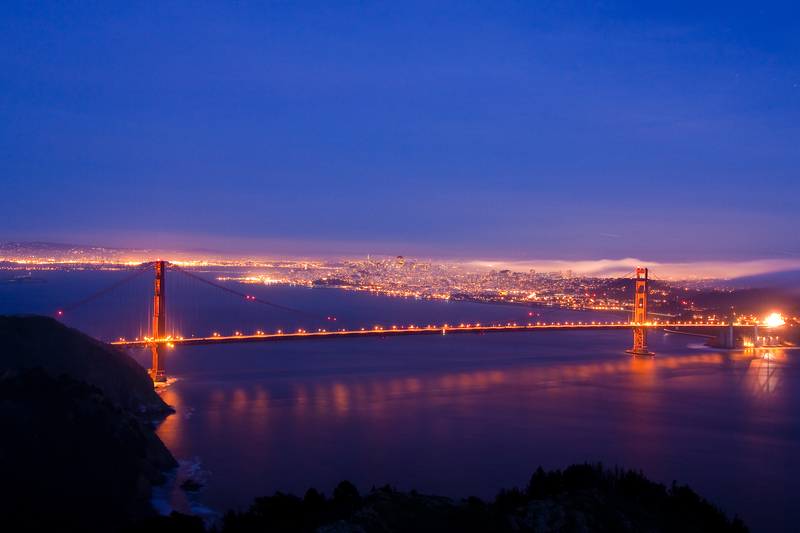 A 30 second exposure about 30-40 minutes after the sun had set over the San Francisco Bay. You can see stars an the flight path coming out of San Francisco International Airport. This entry was posted on February 18, 2010 by forum122. 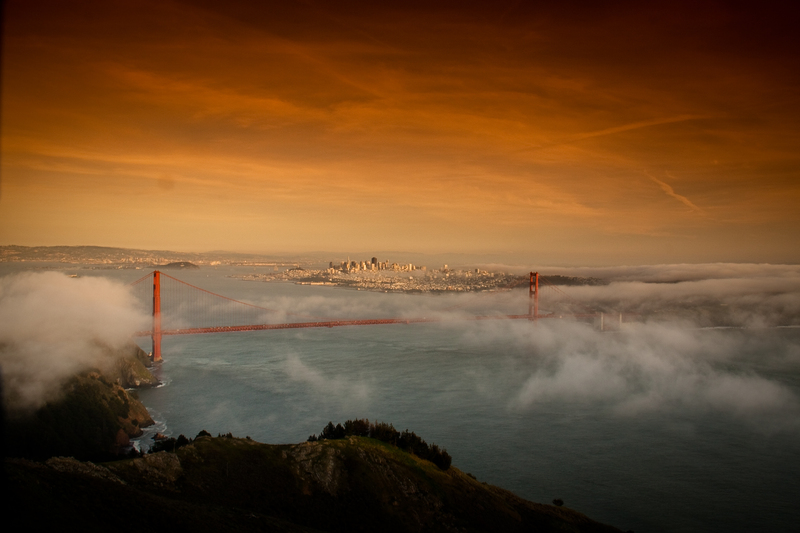 It was filed under Uncategorized and was tagged with Bridge, California, Golden Gate Bridge, Landscape Photography, San Francisco, Sunset, Twilight Photography.